We assist manufacturers enter new regions and markets profitably. Syron has a large network within the North America, Oceanic and South East Asia regions and if you are looking for a manufacturer sales representative, Syron Group is able to provide connections and leads to generate immediate sales and create long term business partnerships. The Syron Group understands that you need to make sure the partner you've chosen, can deliver a meaningful long term return on investment and doesn't lock you into lengthy contracts or unnecessary exclusive distribution deals. Syron's adaptable charging models are flexible but there are some costs associated with setting this up and will depend on the agreement negotiated. The Syron Group is a member of several industry associations from around the world and if your product is one of the best, we would be more than happy to represent your products or your brand. The Syron Group will ensure your product is recognized for its quality or uniqueness of the design or the manufacturing process. Depending on the region will depend on which Industry Associations the Syron Group is associated with. 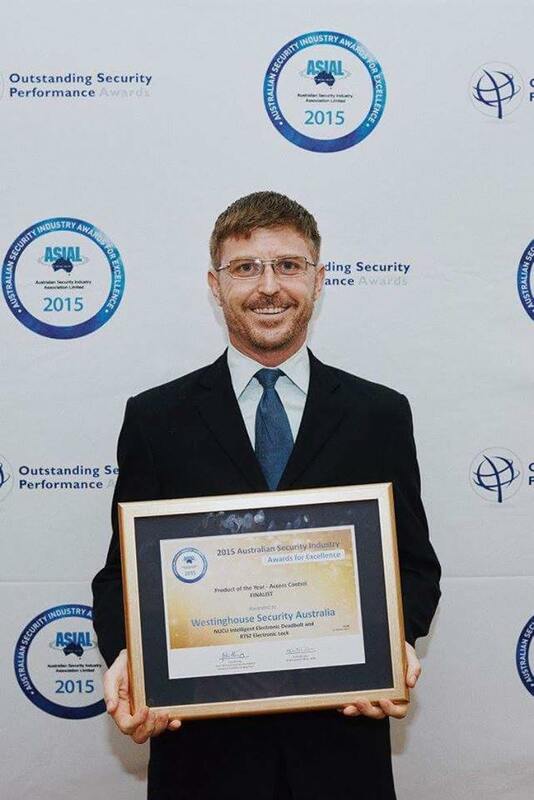 Tyrone Voigt represented and accepted the Westinghouse Security Finalist Award at the ASIAL awards in October 2015. 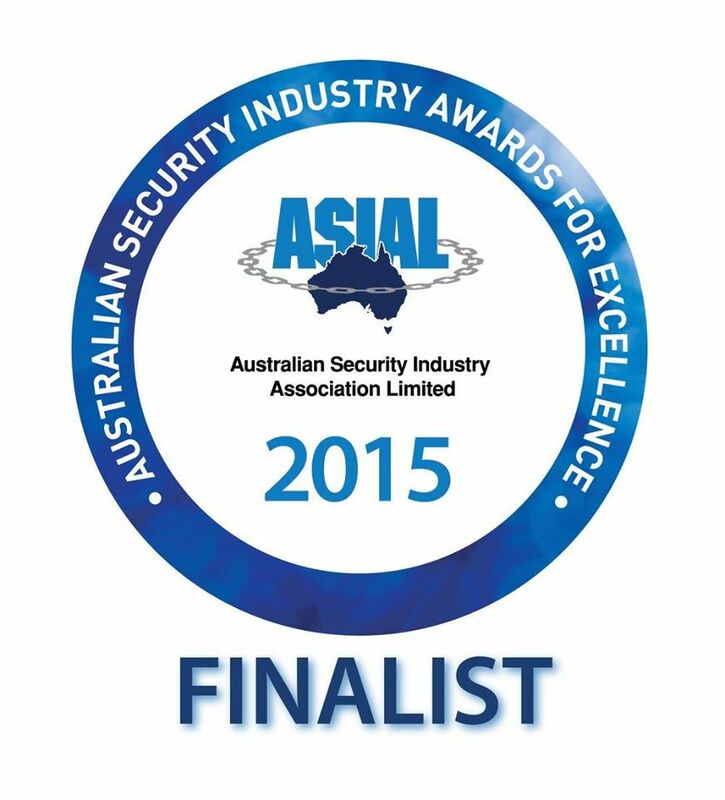 The 2015 Australian Security Industry Awards for Excellence received on behave of Westinghouse Security Finalist Award in Product of the Year: Access Control for the Nucli Electronic Deadbolt and the RTS-Z Biometric Wireless Digital Lock. The Syron Group is able to provide a team to attend regional events and exhibitions and we have the talent to deliver everything from concept to completion. The Syron Group has attended many exhibitions including CeBit, ABITE, EAE, ISC West, SEMA and many others. Tyrone Voigt was nominated Entrepreneur of the Year 2008 and Early Innovator of the Year 2008 at the CeBit Exhibition in Sydney. The Syron Group in Australia represented the BOLT Lock at the Explore Australia Expo in Brisbane in September 2016 and Syron manages and represents the BOLT Lock in the Oceania region. This event was use for market research and product evaluation from an end user and consumers point of view. The Syron Group is uniquely positioned to assist manufacturers with online promotions and advertising. The Syron Group is capable of designing and creating a specific website with SEO and promotions for the region. This site can encompass customised SEO, Online Shop and splash pages for additional online marketing. The Syron Group has done numerous international marketing and promotional campaigns and was engaged by Telstra to provide web broadcasting facilities for Telstra Corp during the construction of the first T-Life Store in Melbourne in 2008. The Syron Group has a large network of printers located around the globe and is able to design and produce a large variety of print media and packaging stands and materials. The Syron Group is able to design and produce marketing brochures, event marquees, product packaging and product stands. The Syron Group engages regional advertising companies to market products direct to consumers. This target specific marketing is the best way to generate interest and helps with Brand awareness, especially when entering into a new market. Working within the industry always helps and with the Syron Group you are assured that you are talking to the right people. The Syron Group uses many media to promote brands or products, though the expert use of SEO, Social Media, Website and Content. All of these are linked through print advertising and other online marketing platforms. The Syron Group has a large network of people and resources able to fulfill any contractual and distribution agreements negotiated. In 2005 and through a variety of network connections, Syron was engaged to produce MP3 players with Telstra Branding and Store Contact details. These were silk printed on to the MP3 players and had music pre-loaded from Australia bands. Syron supplied direct to Telstra License Shops nationally from 2005 to 2009. The Syron Group uses many media to promote brands or products, through the expert use of SEO, Social Media, Website and Content. All of these are linked through print advertising and other online marketing platforms. The Syron Group has a large network of people and resources able to fulfill any contractual and distribution agreements negotiated. Why not run a promotion on social media? The best way to attract new interest is to give something away or provide a special price for an introductory product or an interactive marketing campaign to assist with increasing views, followers, likes and to increase awareness and direct sales. Distributors can have 1000's of products within their full product scope, whereas the Syron Group has a limited number of manufacturers products available for release, this is to ensure the products we are promoting are the best and so we can have the best people working with you. This is to ensure that the immediate sales are there but to also establish long term marketing and promotional campaigns to continue the product or brand awareness. What are the importations laws associated with the region or market you want to import or export to? Is there a way to transport samples to different countries without paying for the privilege? Excess freight costs can impact on delivery and pricing but with combined transportation costs, the Syron Group is able to make to shipping more affordable than ever. The Syron Group is able to create a marketing and promotional campaigns with the purpose of lead generation. The Syron Group is able to offer solutions for advertising, sales promotion, events and experiences, interactive marketing, social media, direct marketing and creative services. Events can be used in a variety of ways for market research, direct customer feedback or for direct sales. There are many avenues to generate interest in a product but what is the best way to promote your products? The Syron Group can provide lead generation, telemarketing and appointment setting campaigns. The Syron Group is able to provide support staff for regional enquiries or is able to divert or redirect contact direct to your in-house sales and support staff. The Syron Group can provide admin and support staff to answer local enquires and is able to provide EPBX services with auto-attendant functionality. The Syron Group is able to provide warehousing and distribution services within the region and has the capabilities for product repackaging and branding. We can deliver a range of storage solutions including secure shed storage through to secured warehouses and open yard storage. When sending your parcels overseas you need a delivery service you can rely and one that offers the reach and traceability of your consignment. The Syron Group can meet your international shipping needs with guaranteed time-definite and day-definite worldwide delivery based on your shipment's destination. Need to change your product packaging for an exclusive distributor or exclusive market? Syron Group can quickly and easily alter product packaging to target a specific region or market. Products can be purchased without changing or adding SKU and repackaging can be organised and completed at our facilities. Product stands are a great way to help retail stores promote your products in store. If new regional packaging is required by a distributor, for the purpose of a national distribution agreement, we are able to provide all packaging and product stand requirements, which may also include barcodes and other important regionally required information. The Syron Group has a large network of printers located around the globe and is able to design and produce a large variety of print media and packaging stands and materials. Syron is able to design and produce marketing brochures, event marquees, product packaging and product stands. Event and promotional products can be created and manufactured from one of our service partners for the purpose of promoting and advertising your brand or products. Marquees are an expensive purchase for any event unless you have the industry connections and abilities to supply products globally and efficiently. The Syron Group is uniquely positioned to assist manufacturers with online promotions and advertising. Syron has a Cloud Based Server and is able to register any domain "yourproduct.com". Syron is capable of designing and creating a specific website with SEO and promotions for the region. This site can encompass customised SEO, Online Shop and splash pages for additional online marketing. Websites are easy to create and manage but is the website doing the best it can? Or is there something that you want to do better? How do you see your website? How does the consumer see your website? Our business development specialists have years of experience and know how to make the right blend for your product to stand out. Immediate sales into a region can be great but without the continual support, encouragement and brand promotion to coincide with the distributors marketing strategy, this could ultimately mean your products are sitting on a shelf and gathering dust. The Syron Group is able to find distributors for immediate purchases and the Syron Group is able to support the Distributors with merchandising services which include regional marketing, online and in-store promotions, sales and technical support. Stock control is an important part of business, knowing when stores will run out of stock can be a simple question for a merchandiser to ask when they visit one of your client's stores. Face to face contact is still the best method of communication with clients, distributors and advertisers. We are able to drop into stores to see how we can work with the stores and improve sales and see what other incentives are available to help increase volumes. © Copyright 2005 - 2018 Syron All rights reserved.